The new twist to the MIT fuel cell described in PLoS ONE is that it is fabricated from silicon, using the same technology used to make semiconductor electronic chips. The fuel cell has no biological components: It consists of a platinum catalyst that strips electrons from glucose, mimicking the activity of cellular enzymes that break down glucose to generate ATP, the cell's energy currency. (Platinum has a proven record of long-term biocompatibility within the body.) So far, the fuel cell can generate up to hundreds of microwatts -- enough to power an ultra-low-power and clinically useful neural implant. "It will be a few more years into the future before you see people with spinal-cord injuries receive such implantable systems in the context of standard medical care, but those are the sorts of devices you could envision powering from a glucose-based fuel cell," says Benjamin Rapoport, a former graduate student in the Sarpeshkar lab and the first author on the new MIT study. Rapoport calculated that in theory, the glucose fuel cell could get all the sugar it needs from the cerebrospinal fluid (CSF) that bathes the brain and protects it from banging into the skull. There are very few cells in the CSF, so it's highly unlikely that an implant located there would provoke an immune response. There is also significant glucose in the CSF, which does not generally get used by the body. Since only a small fraction of the available power is utilized by the glucose fuel cell, the impact on the brain's function would likely be small. Karim Oweiss, an associate professor of electrical engineering, computer science and neuroscience at Michigan State University, says the work is a good step toward developing implantable medical devices that don't require external power sources. "It's a proof of concept that they can generate enough power to meet the requirements," says Oweiss, adding that the next step will be to demonstrate that it can work in a living animal. 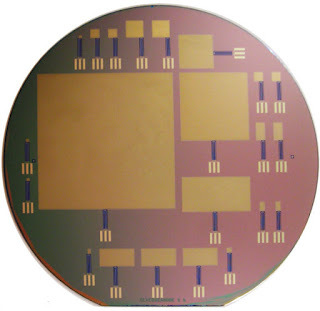 Sarpeshkar's group is a leader in the field of ultra-low-power electronics, having pioneered such designs for cochlear implants and brain implants. "The glucose fuel cell, when combined with such ultra-low-power electronics, can enable brain implants or other implants to be completely self-powered," says Sarpeshkar, author of the book "Ultra Low Power Bioelectronics." This book discusses how the combination of ultra-low-power and energy-harvesting design can enable self-powered devices for medical, bio-inspired and portable applications. Sarpeshkar's group has worked on all aspects of implantable brain-machine interfaces and neural prosthetics, including recording from nerves, stimulating nerves, decoding nerve signals and communicating wirelessly with implants. One such neural prosthetic is designed to record electrical activity from hundreds of neurons in the brain's motor cortex, which is responsible for controlling movement. That data is amplified and converted into a digital signal so that computers -- or in the Sarpeshkar team's work, brain-implanted microchips -- can analyze it and determine which patterns of brain activity produce movement. The fabrication of the glucose fuel cell was done in collaboration with Jakub Kedzierski at MIT's Lincoln Laboratory. "This collaboration with Lincoln Lab helped make a long-term goal of mine -- to create glucose-powered bioelectronics -- a reality," Sarpeshkar says. Although he has just begun working on bringing ultra-low-power and medical technology to market, he cautions that glucose-powered implantable medical devices are still many years away.